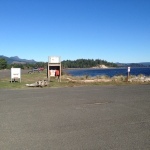 The Nehalem state park is located just north of the Nehalem jetty where the river enters the Pacific Ocean. To access the state park you need to turn off highway 101 just outside of the town of Nehalem before reaching Manzanita. The state park is a day use fee park, so everyone that parks a car in the lot is required to pay the $5 fee unless you have a state park permit. The best feature of the park is the massive number beach access points. Unlike other sections of the Oregon there is no homes built out onto the Nehalem spit and so the views from the sand dunes hiking into the beach are really impressive. The line between the Oregon coast forest and the Oregon sandy beaches is so defined here, it is really impressive. The park is home to several facilities for people that like to horseback ride can use. Including large number of trails and stalls for stable a horse for a temporary time during the day. 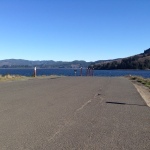 This specific state park also has a 2 lane boat ramp and is a nice alternative to the public county ramp located further up the river or the often overcrowded private ramps located right next to the mouth of the bay. 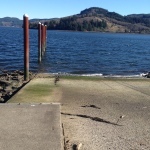 Nehalem Bay is well known for its spring and fall runs of salmon and exceptional crabbing at certain times of year. The bay is also loaded with several species of clams that can be harvested during the low tides. The mud flats that line the shores of the bay side of the state park are perfect places to go for a dig. Cockles, Gapers, and Purple Varnish are the most plentiful ones that most people find. This park gets a lot of seasonal use so expect to not be alone during the peak season or during really nice weather days on the weekend year round. Looking for a great place on the Oregon Coast for a camping trip, this might be the right destination for your family. The huge beach is an amazing playground for summer fun and the bay side offers opportunities for clamming, crabbing, boating and fishing. 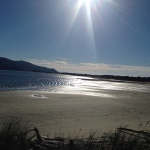 There is something for everyone that likes the Oregon Coast outdoors at the Nehalem Bay State Park. This park even has a primitive airport camp something not found in the other large camping sites nearby.